1491: The Untold Story of the Americas Before Columbus is a documentary based on the Charles C.Mann's best-seller 1491. 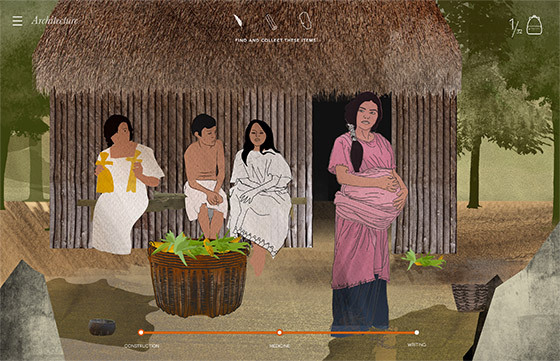 It seeks to uncover lost histories and break old biases about the people who lived on the American continents before the arrival of Europeans. Object detailed view including gallery and facts. To collect the item a trivia question screen is presented. After answering the trivia correctly the player collects the object. Two options are presented, either continue answering trivia for more points or go back to the game.